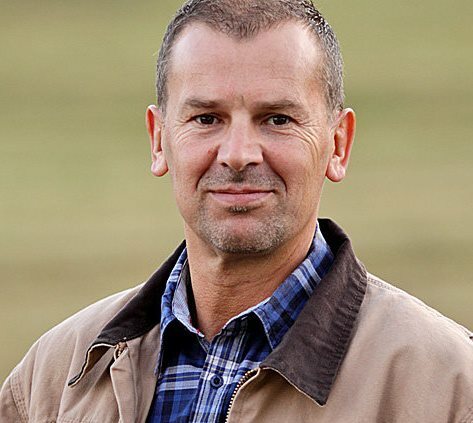 EasyCare is excited to announce that Bernd Jung of Hufcheck is the new exclusive EasyCare distributor in Germany. Hoof boot sales in Europe have grown exponentially over the last four years and the new partnership with Hufcheck will help continue the momentum. 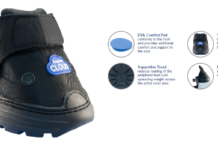 Hufcheck offers one of the broadest selections of EasyCare hoof boots in Europe. But what sets Hufcheck apart from all other organizations are the value-added booting seminars and educational activities to help hoof care practitioners make the best selection of boots for their customers’ specific needs. 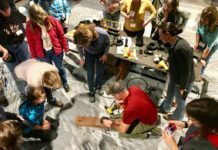 The HufSchuhe Coach (Hoof Boot Coach) seminars, which were started in 2009, are now designed specifically with the goal of teaching teachers the successful application of pairing the correct hoof boot for each hoof. By the end of 2011, there will be some 40 certified Hoof Boot Coaches across Germany who have attended the course and who can offer guidance, support, trouble-shooting and product to the broader customer base. And that’s not all: as well as becoming leaders in their own field, graduates access preferred pricing levels for the purchase of EasyCare hoof boots via the Hufcheck online store. Today’s Hoof Boot Coach seminars are five days long and are offered across the country. Graduates of the course also enjoy on-line product support, information on new products, online referrals to new customers and access to continued education. “My goal is to grow the number of Hoof Boot Coaches to 150 in Germany alone,” said Bernd when asked about his vision for the future. The online store is currently available in German, with an English language portal available by the end of 2011. The store boasts real-time product availability, as well as the specific numbers of inventory available. “So if you want to purchase ten Easyboot Trails and there are only six available in stock, you don’t have to wait till the check-out process before knowing your order cannot be filled as requested,” said Bernd of the online platform. The store, which caters to end-user customers and distributors alike, offers on-line product support and informational videos about each of the boot models. Once logged in, customers can see their order history and receive the tracking number for any orders they place. Customers can also access support through the Hufcheck call center. And what of the future? 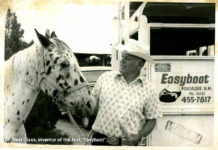 Expect to see the launch of the first of an informational DVD series on hoof boots and their application in December, 2011. For further information on the programs and products offered by Hufcheck, please contact Bernd Jung via email.